We will let you know when these books become available. 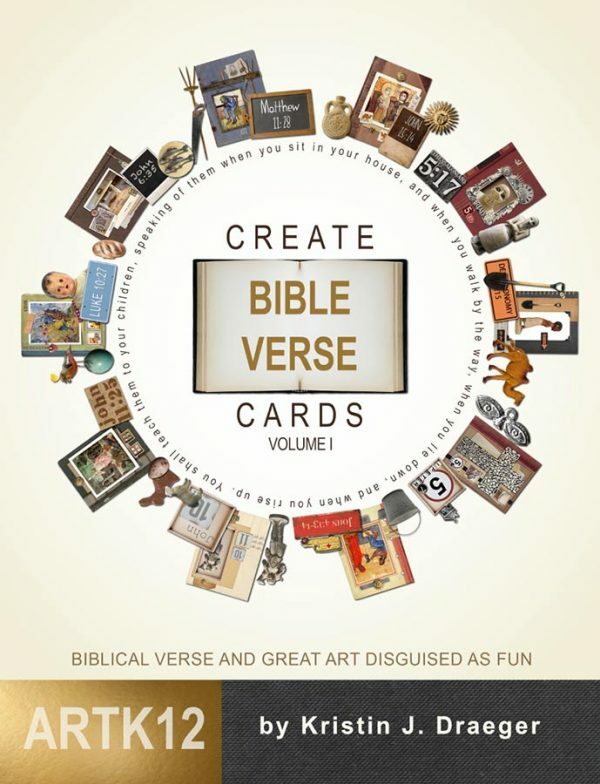 Create Bible Verse Cards: Volume I pairs Bible verses with great art and combines those with 4 projects for each of the 10 verse cards. In Ancient Greek Pottery Disguised as Fun your youngest students will be exposed to, you guessed it, art on ancient Greek pottery. There are fun talk bubbles and a “find the fish” game too! Try to contain your excitement! And if those two books were not enough, Mission Architecture Disguised as Fun will take your youngest students on a journey to many missions throughout California and other states to teach them about…well…mission architecture. There are more fun talk bubbles and a “find the flowers” game. If you’re feeling a little dizzy from all this wonderful news, please sit down and take slow, deep breaths. Good. Back to normal? Read on. 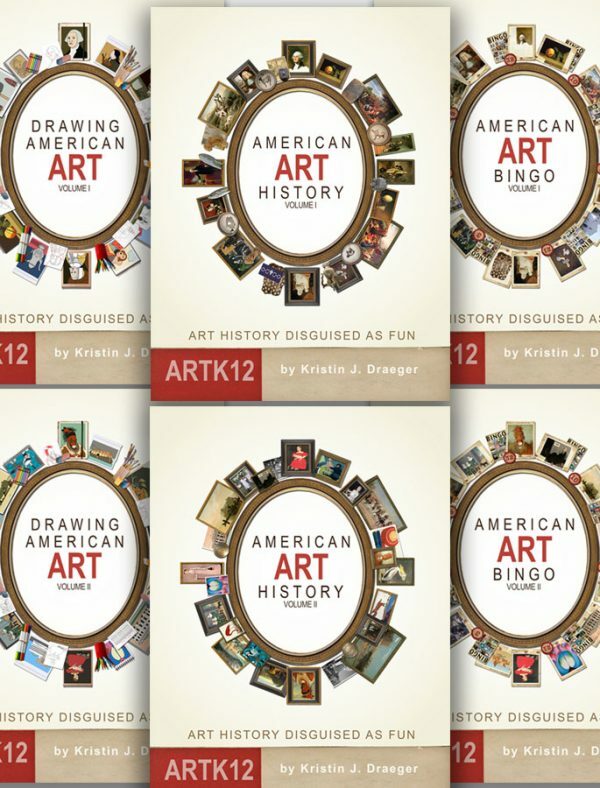 In addition to these three newest books the Rainbow Resource currently carries ARTK12’s Geography series and the American Art History series. 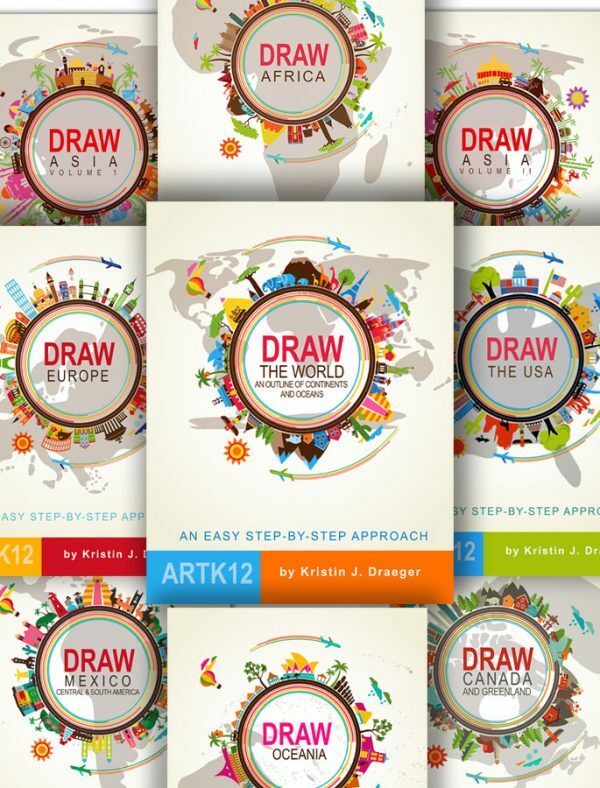 If any of you are big Rainbow Resource fans, you can now get our entire Geography series (9 books) for the same price we sell that bundle on ARTK12 ($139.49). 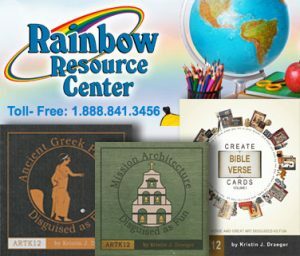 If you’re not familiar with the Rainbow Resource, make sure you check out their website. They have a gigantic selection of books and educational resources. You can relax now, that’s all the good news we have at the moment.